With 2019 comes a new variety of kitchen trends and designs, and we are excited to see these trends incorporated into some of our homes. 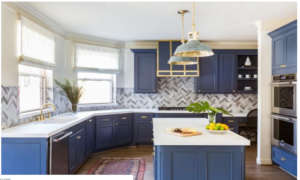 So here are the top 7 kitchen trends to look for in 2019. Gone are the days of closed-in top shelves. In 2019 we expect to see more open shelving in place of the top cabinets. 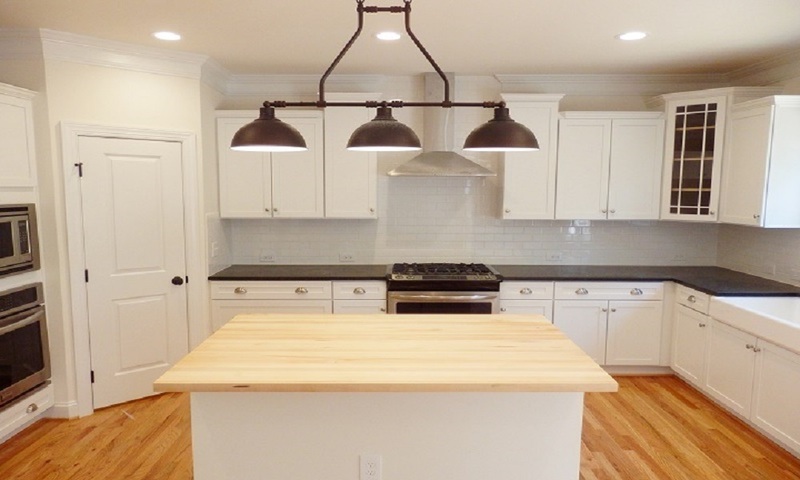 This is a great way to add more light into your kitchen. We love the way open shelves look on either side of a window, plus it gives you a great place to display plants, an herb garden, or even colorful dishes. Furniture is one of the best ways to add a pop or touch of color to any kitchen. Think blue leather bar stools, a navy kitchen table, or kitchen chairs upholstered with a fun pattern. Let your accessories bring life to your otherwise neutral kitchen. 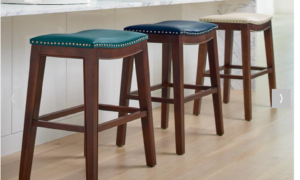 Click here to learn more about these stools. 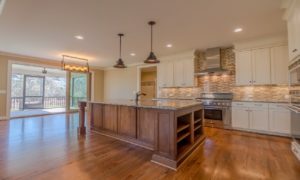 We have posted several blogs on ways to incorporate wood into your home, and we love the idea of adding these touches into your kitchen. From a wooden bar top to cedar planks on the ceiling, bringing those touches into this space will help create that timeless look. We love this trend! Blue, green, black, grey, all of these colors would look fantastic in your new kitchen design. Two-toned cabinetry is also another great trend, especially for those are want to just dip their toe in instead of diving in head first. 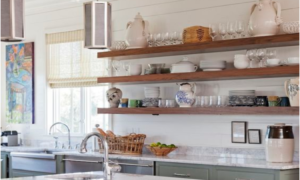 White uppers and a colored lower is very popular, or make a statement by using a bold color for the island and leaving the outer cabinets white. Pendant lights are not a new trend, but the use of a pendant light has become more important now that so many homes are built with an open concept. Pendant lights can help define your space just like a large light fixture can help to shape that space and divide it from the rest of the home. Black or grey, matte finishes add a touch of elegance to an otherwise white space. 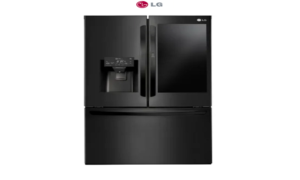 We really love the matte appliances that Electrolux offers.